RDM Cubicles are centrally based in the UK and have quick and easy access to all major motorways. Our distribution is always guaranteed to be both timely and efficient. Located just 30 mins away from the heart of Birmingham, we can deliver cubicles, IPS ducting, hardware and vanity units straight to your door without delay. For more information on our delivery times or to discuss our product ranges, please contact us stating your Birmingham location, delivery requirements and timescales. 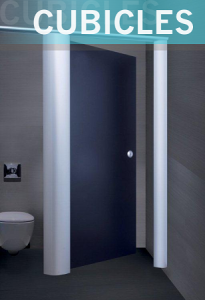 Download your Washroom Cubicles Quick Reference Guide to all RDM Cubicles ranges with sample colour options available for delivery to your door in Birmingham. Save to your desktop or simply open and view in your browser now. 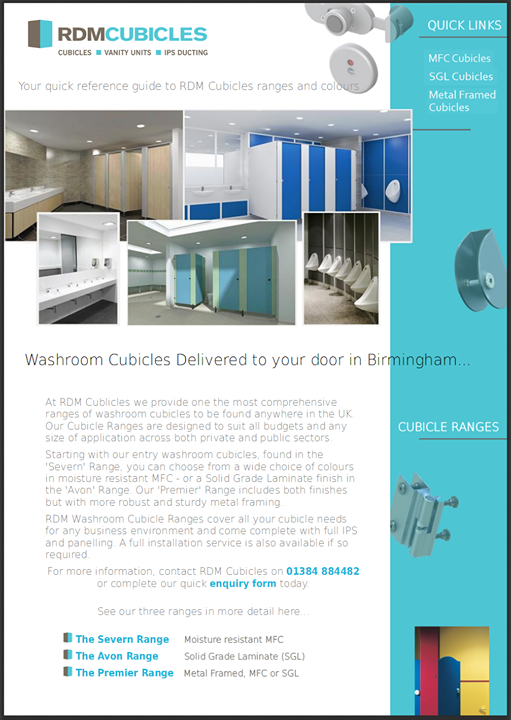 RDM Cubicles for all your Cubicle, IPS and Vanity Unit requirements throughout the Birmingham and wider Midlands area.